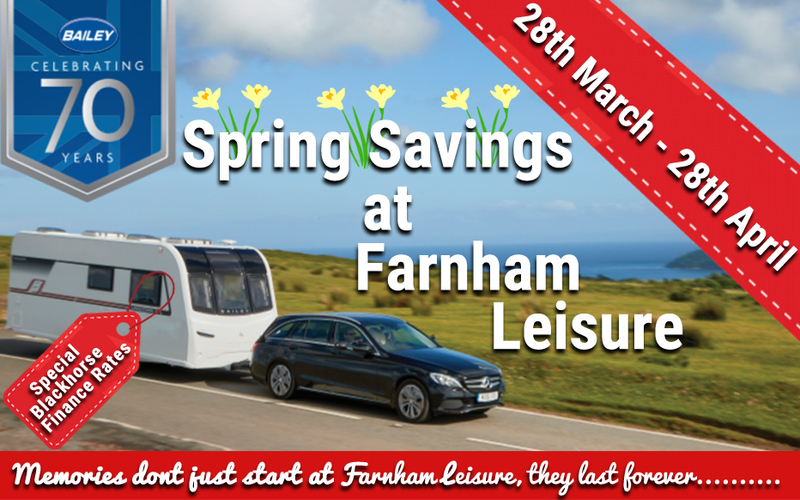 Trade in your old Caravan! Farnham Leisure goes from strength to strength, as Paul Curtis and his team enter their sixth year of business. This ever-improving family run business is a NCC Approved Dealership incorporating an AWS Approved Workshop, which can provide all your servicing and repair requirements. We are a Bailey of Bristol mains solus dealer for Caravans. We also support Blackhorse Finance where we can offer HP and PCP Quotations, T&C Apply. We offer an all-encompassing choice of new and second-hand Caravan Sales, a full leisure shop, with a display of various awnings that are available, and fitting of motor movers, Tyron's, solar panels and much, much more.